Environmental rat trap, the entrances are at the top and bottom. When a rat comes in, they will gather at the top and other rats can still go inside. At most 9 rats can be taken. Can be used repeatedly, different from the old fashioned cage not being able to allow rats to come into the cage next time. Patent product，awarded with INEA 2005 Invention Exhibition, Bronze Medal. Material：iron wire special powder coating. 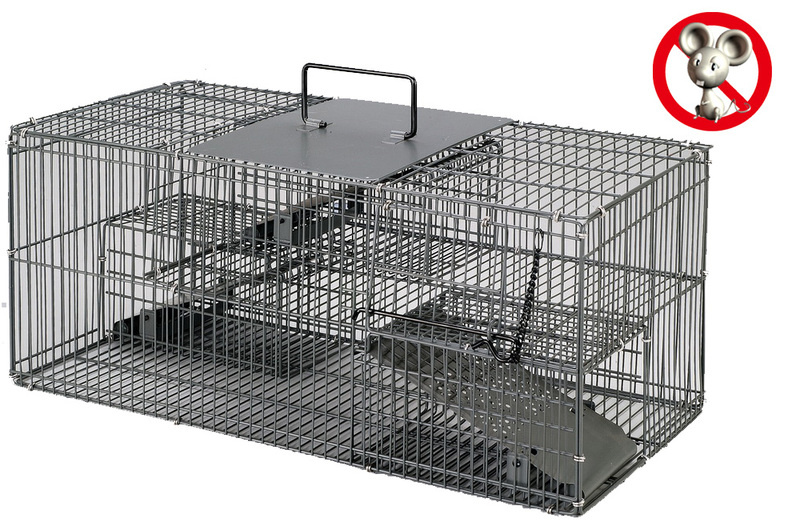 If you are interested in our monarch rat trap, Welcome to contact us online.